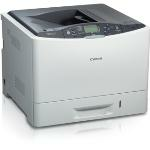 Canon LBP-7780CX Expert Reviews - Read Reviews and Buy Smarter Online. Good quality but very, very expensive to run. Verdict: This printer is big and 'very' heavy. It's perfect as a work-group printer for an office. Output quality is good and it's fast, even with graphics. My only concern is the cost of cartridges, which is truly extortionate.